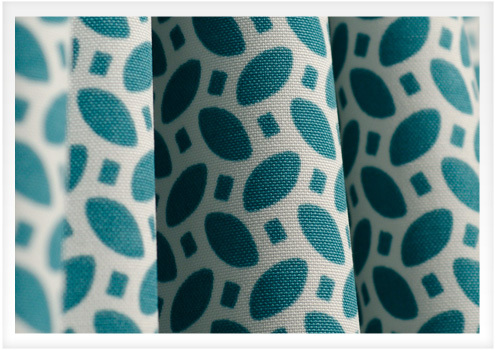 Fabric Feature: Polyester | Do-It-Yourself Advice Blog. 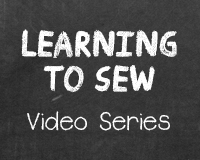 Did you know that polyester is the number one man-made fiber used in fabrics worldwide? The textile industry was transformed with the discovery of polyester in the 1940’s. Today this versatile synthetic fabric is used in clothing, outerwear, upholstery and home décor, sails and outdoor covers. In today’s fabric feature, we’re going to take a closer look at polyester. In case you missed our last post in the Fabric Feature series, you can learn about acrylic fabric here. Polyester was discovered by a group of British chemists working at the Calico Printer’s Association of Manchester, England. They were interested in the work of W.H. Carothers, the chemist who discovered Nylon, the first synthetic fiber. Stemming off of Carothers’ research, the British chemists patented the first polyester in 1941 under the name Terylene. Soon after in America, DuPont purchased the rights to Terylene and begun manufacturing its own version of polyester, which debuted in 1951 under the name Dacron. Polyester is made from acids and alcohols that are derived from petroleum. The fiber’s name comes from its makeup of many (poly) common organic compounds (esters). Polyester can also be derived from recycled materials. The specific processes for creating polyester are not known, as companies keep them secret to remain competitive. There are many different forms of polyester specific to its end use. A version referred to as PET (polyethylene terephthalate) is the most common. Polyester, like all fabrics, is not without a few drawbacks. In the late 1960’s polyester had a bad public image for being a cheap fabric that uncomfortably retained heat. New manufacturing processes and the invention of microfiber (a super-soft, durable, lightweight polyester) are making this less and less the case today. Additionally, polyester is prone to pilling and has static cling tendencies. It can soil easily and oil stains can be difficult to remove. Most other stains however, will remove with solvents or detergents. Polyester is often blended with other fibers both natural and synthetic to enhance the characteristics of both. This is especially common in upholstery fabrics, where you rarely see polyester used alone. Polyester is frequently blended with cotton to make it more absorbent and comfortable or with rayon to give the fabric a different texture with a good hand, a nice drape, and more absorbency. Polyester can be blended with wool to strengthen the wool and to give the polyester elasticity and a nice drape. However, these fabrics together increase pilling. Polyester is also sometimes blended with nylon because of nylon’s strength and polyester’s wrinkle free nature. This combination can also cause pilling, and because neither fabric is very absorbent, the fabric can feel wet and clammy in hot or humid weather. Depending on the blend and the application, polyester has some great features to offer. 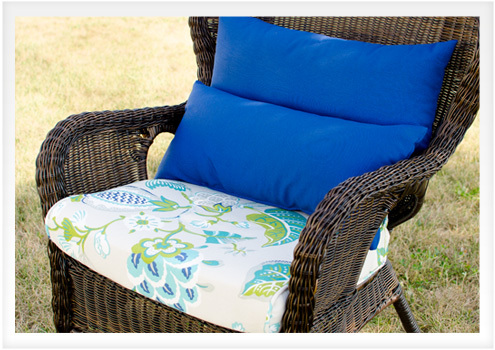 Try this popular, versatile fabric for patio cushions, upholstery, drapery, boat and other outdoor covers, and more. To see our selection of fabrics including polyester sailcloth, blends, and outdoor fabrics visit www.sailrite.com. Share your thoughts on polyester fabric with us in the comments!